The lure of American muscle cars runs strong in the collector car market, making up around 10 percent of those that are bought and sold. The lure of American muscle cars runs strong in the collector car market, making up around 10 percent of those that are bought and sold, according to the Hagerty classic car insurance and valuation company. 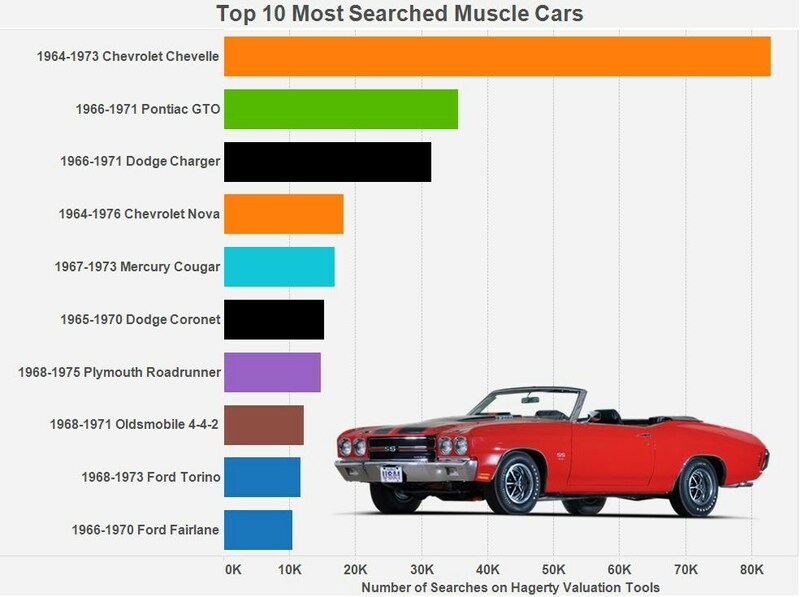 Hagerty created this week’s bar graph by studying which muscle cars are most popular in Internet searches on Hagerty’s valuation tools, and these are the top 10. 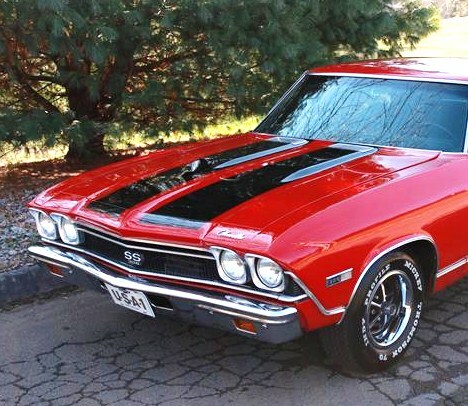 The 1964-73 Chevrolet Chevelle rules as the leader by far, followed by a fairly even rundown of Big 3 muscle-car favorites. Muscle cars are among the most-searched of all collector cars, according to Hagerty’s research, following behind Corvette, Mustang, Cuda, Camaro and Porsche 911. The strong interest in American muscle car can be attributed to their relative affordability and the continuing dominance of the Baby Boomer generation in the collector-car market, Hagerty says. For many, these high-performance cars are what they aspired to in their youth, and now they can afford to enjoy them and perhaps bring back some of those glory days.